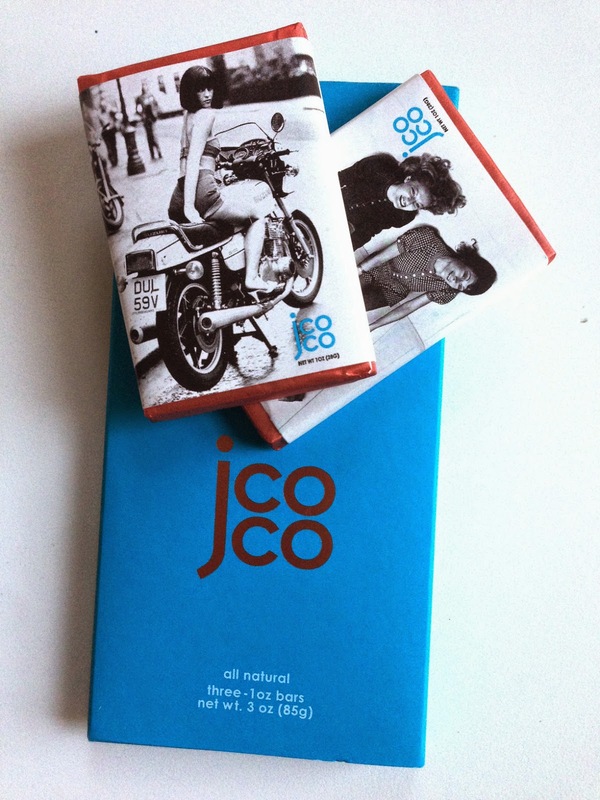 I picked up this Jcoco couture chocolate bar to throw in my hubby's birthday bag. I found it on a Upper West Side grocer's shelf and was attracted to the great looking packaging. Figured I couldn't lose with vanuato coconut pecan. In the morning I found three interesting little wrappers laying around featuring fashionable photographs of gorgeous women. He'd been enjoying it in the middle of the night while I slept. He was generous enough to save me a piece and he even took this photograph of the remaining two bars before eating them all up. I love it! Bars like this are why this blog exists. I encourage more chocolatiers to merge fashion, art, and chocolate.